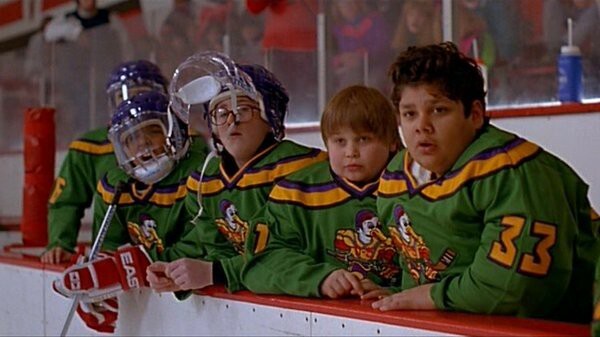 When you look past the slapstick humour, there are leadership lessons galore weaved into The Mighty Ducks movie. Initially, the team are a ragtag bunch, but they begin to succeed when Coach Bombay puts the players in an environment that allows them to use their unique skills for the betterment of the group. In fact, the team’s competitive edge becomes the diversity of their skill sets. Fulton Reed, for instance, plays his role as an enforcer to allow Adam Banks and Guy Germaine to use their elite skills. Connie Moreau’s skating ability stuns the opposition. Even Les Averman turns his knack for getting pummeled into an advantage, becoming a decoy to free up time and space for others on the team. Backing the unique skills of your team members is a people innovation strategy that will work whether you’re managing Pee Wee Hockey or a Compliance team at a large enterprise. For leaders, finding out what the unique skills of each of your team members is always a worthwhile investment of time.